MM 1/c Edward L. Coyler, son of Mrs. Bessie Colyer, graduated from Grandfield High School. 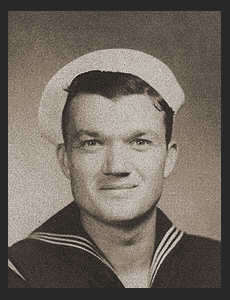 Entered the Navy in March, 1942, trained in San Diego, Cal. ; served in the Philippines, Leyte, the Marshalls, Okinawa, Iwo Jima, Japan, and a Seperation Center. Awarded Good Conduct Medal, Am. Theatre Ribbon, Asiatic Pacific Ribbon with six Battle Stars, Philippine LIb. Ribbon, one Bronze Star.